Wednesday, January 11 at 7:30 p.m.
Dixon Place presents two separate theater pieces by performers/directors Maiko Kikuchi and Justin Perkins. The Tokyo-born Kikuchi studied Theater Arts and Fashion Design at Musashino Art University and earned her MFA in Sculpture from Pratt Institute. Her multi-disciplinary projects dive into illustration, painting, collage, sculpture, animation, and puppetry. 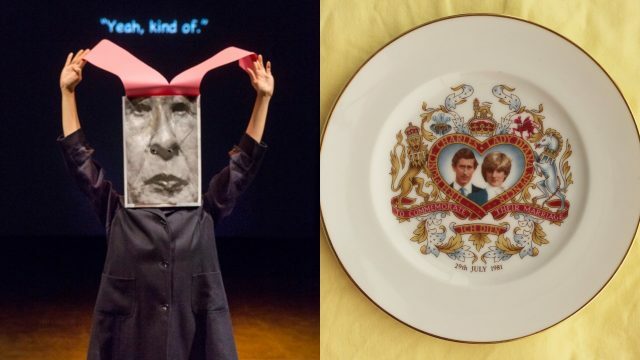 Kikuchi created her first self-directed object theater piece, Daydream Anthology, in 2013 followed by her second piece, PINK BUNNY, which she performed at Japan Society prior to the presentation of Hanasaka Jiisan in December. Both of her works were shown as part of “Labapalooza,” a puppet festival held at St. Ann’s Warehouse in Brooklyn. No Need for a Night Light on a Light Night Like Tonight, Kikuchi’s third installation performance in 2015, was shown at La MaMa Experimental Theater. She has also performed as a puppeteer in Theodora Skipitare’s performance show, The Chairs at the Whitney Museum and Six Characters at La MaMa Ellen Stewart Theatre. In On the Other Side of the Fence Kikuchi focuses on the daydreams lurking in your daily life, popping up somewhere close to you. That could be your closest station or coffee shop or on the other side of the fence built between your home and your neighbor’s back yard. New Hampshire native Justin Perkins is a puppet performer and director who has performed in numerous productions, including David Neumann’s Tough the Tough: (redux); Shank’s Mare at LaMama, created by Tom Lee and Koryu Nishikawa; Patti Bradshaw’s out of nothing at HERE; and the upcoming Where the Sea Breaks its Back with Ping Chong + Company. A graduate of Vassar Collage, he earned his MFA in Theatre from Sarah Lawrence College. Perkins directs Portrait of Diana, Princess of Wales; Study No. 2 a work of puppet theater about Diana, her life, and a world of people who couldn’t stop looking at her. It explores the reasons we turn people into celebrities and the ways we use their stories in our lives. Through object theater, dance, and bunraku-style puppetry, Portrait of Diana depicts the producers and the consumers of the Diana mythology and poses questions about the value and the consequences of celebrity culture. For more information and to purchase tickets, please visit Dixon Place’s website.